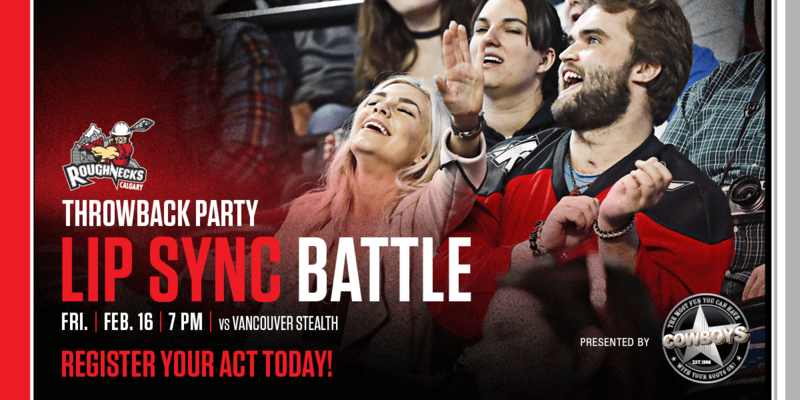 Register your act today to perform at the Roughnecks Throwback Party Lip Sync battle halftime show on Friday, Feb. 16! Represent a generation by selecting a song from your era and dressing up to match the part. Great prizes up for grabs! Selected registrants will be contacted by a member of the Calgary Roughnecks with more information.